Total War: Attila is leaning big on Horsemen of the Apocalypse mythology—taking queues from the Book of Revelation and the seven seals. What this means, in practical terms, is that whenever I have to write about it, I inevitably end up listening to Johnny Cash's The Man Comes Around on repeat. This aside, it's a new Total War—one with some similarities to Rome's Barbarian Invasion expansion. In this new in-engine trailer, you can get a feel for some of the themes Creative Assembly are honing in on. 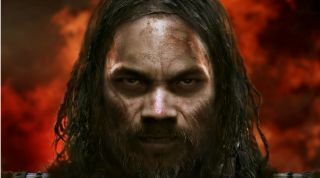 For more, head on over to my first-look Attila impressions.